Prepare for a tremendous adventure as you brave the perils of the mysterious Bermuda Triangle and hope to come out again with your life and a fortune in scavenged gold in tow. Click here to play! Marvel at the sailboats from times past, trapped here forever with the crews long since dead and rotted away. Be mindful of the planes that stray too close and soon plunge from the skies to end as fiery reminders of why expert navigators continue to dread the Bermuda Triangle. Look out for the monstrous sea creatures that only survive here, from giant squid to the most vicious sharks. There are wonders aplenty to be found in the Bermuda Triangle and many back home would be willing to pay a hefty sum to see them. Round up the fantastic creatures to sell as food or curiosities. Collect the fallen planes to sell as junk, or to help teach pilots more about why the Bermuda Triangle can so often spell doom for the unwary flier. Plunder the galleons that drifted here so long ago, for many have holds filled with gold doubloons, ancient treasures and more. 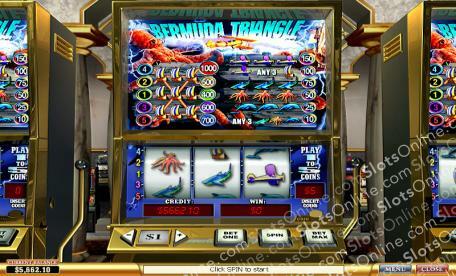 A courageous adventurer could make millions from the Bermuda Triangle, but beware! Many a foolish explorer has misjudged the perplexing nature of the Bermuda Triangle, and all of them have met their ends here.